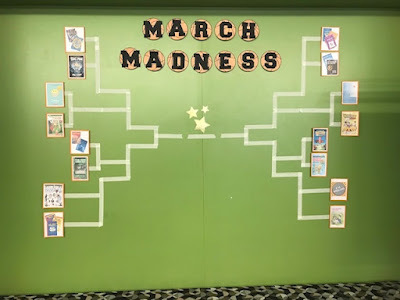 March certainly WAS reading month at the All Saints Academy! 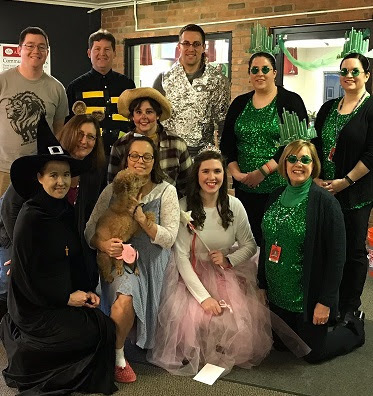 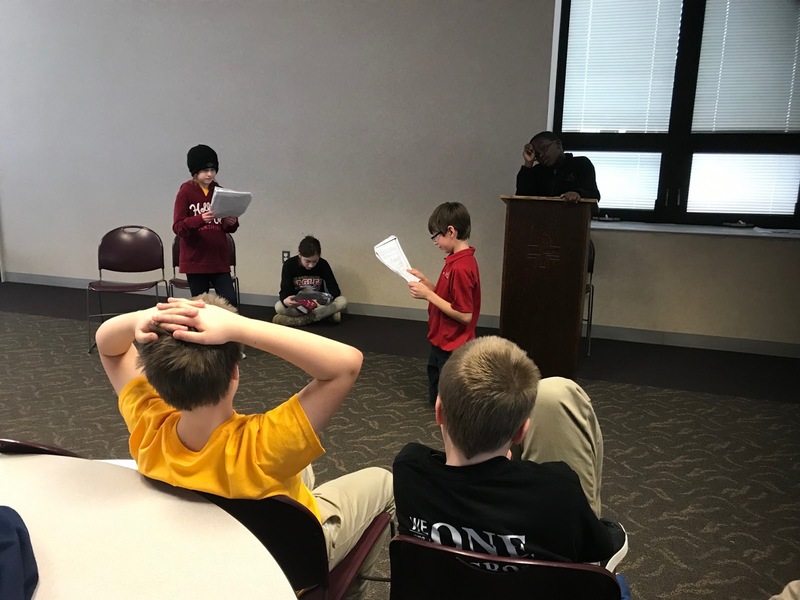 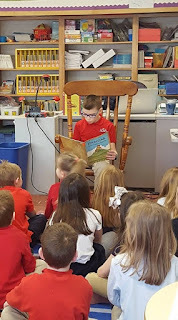 There were scheduled schoolwide times for all to Drop Everything and Read, literature related projects as well as various guest mystery readers--including moms, dads, grandparents, cousins, friends--even firefighters and a police captain! 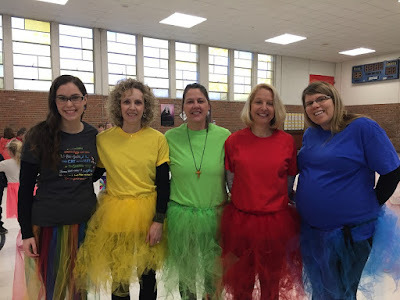 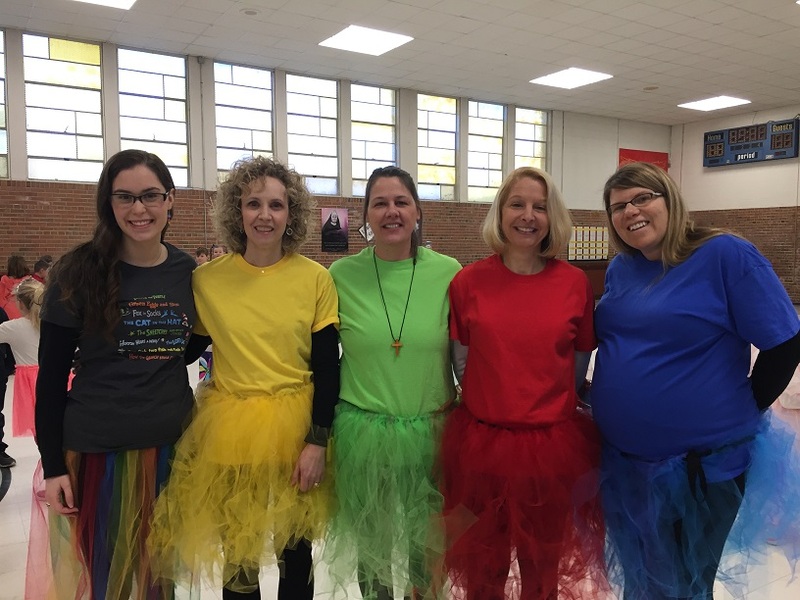 We enjoyed special themed dress days, such as Favorite Book Character and Comfy Reading Clothes Days. Incredibly, we were blessed by Kiwanis Club members with a donation of two bicycles that were raffled following an elementary campus reading challenge. 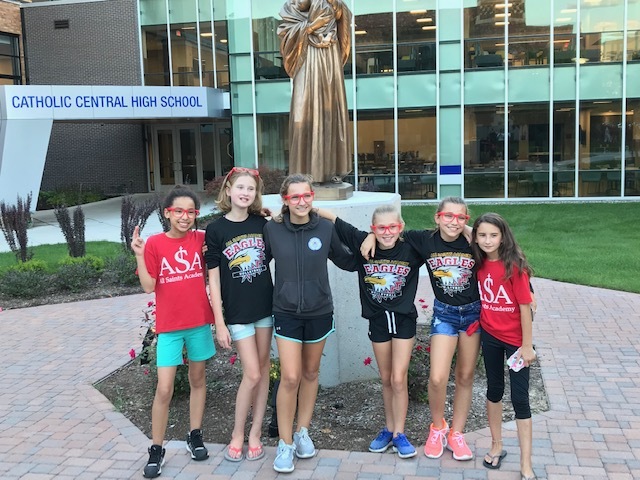 Our lucky winning ticket holders were Leo Z. and Isabella S.! 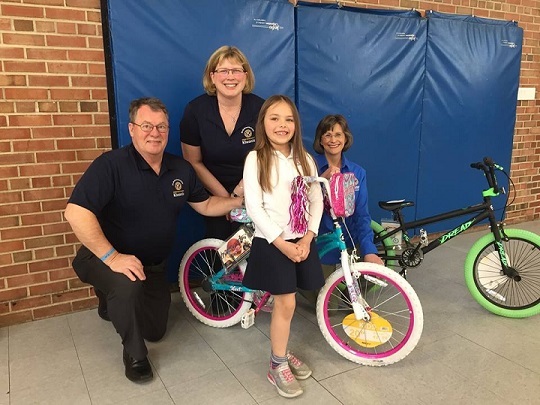 Congratulations to them and a great big THANK YOU to the Kiwanis Club for their generous donation! 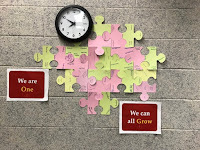 At All Saints Academy we believe that we can ALL grow! Students and staff at ASA have been reflecting on their unique individual set of strengths and particular areas to grow. 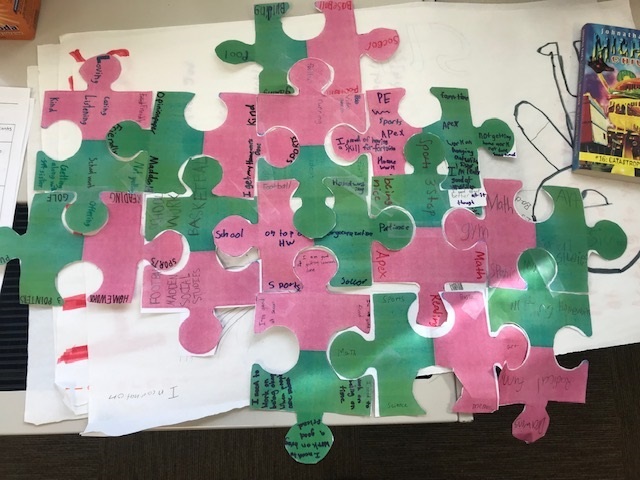 When you put those strengths and areas to grow onto a puzzle piece in pink and green it quickly becomes obvious that we were made to work together, to help each other grow! Our areas to grow can be supported by someone else's strengths, and we can also support others in their area to grow with our personal strengths. 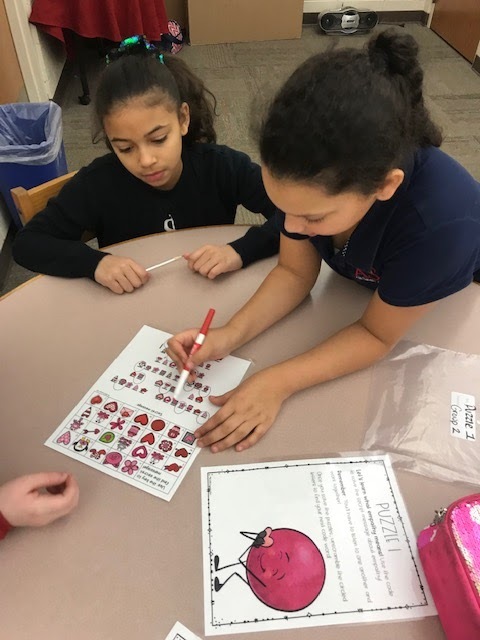 We can even work alongside others with similar strengths to continue to grow. Reflecting on all of the various pieces of ASA's puzzle, it's not hard to believe that through Christ we were brought together to grow in faith, learning, loving, and service as one community! There are various puzzle piece displays in both of our buildings posted to serve as visual reminders to staff and students that their unique creativity and innovative gifts can be used to help others grow. 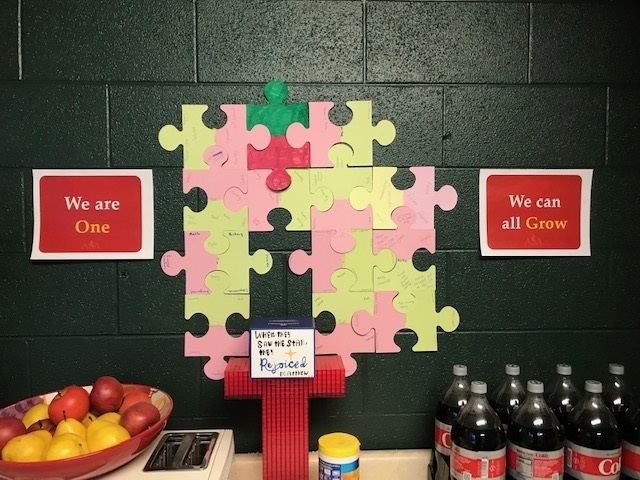 These displays are also a reminder that there is always someone in the community with a strength that can help each of us grow! 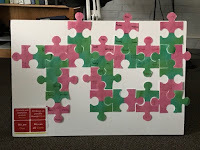 It is inspiring to consider what these puzzle displays would look like if we could add pieces for members of all of our families. 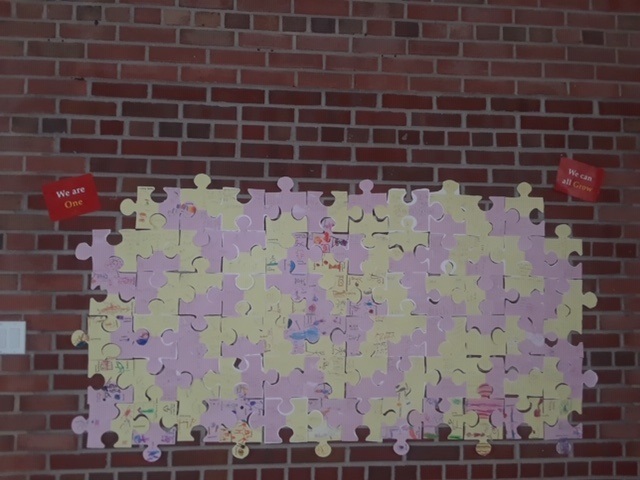 These puzzles also provide a visual reminder that there is always room for our community to grow! 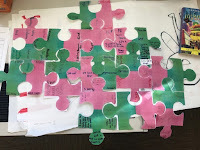 Imagine the puzzle God is creating as He continues to build the Body of Christ! 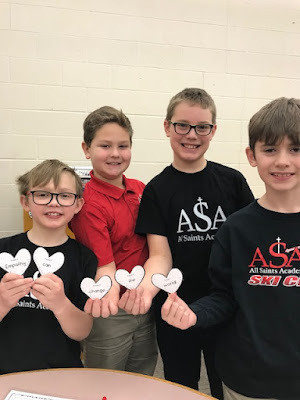 At ASA we rely on the Holy Spirit as we work to prepare all learners to make a positive impact on others. Our teachers are tasked with supporting the spiritual, intellectual, moral, social, and physical development of all our students at all levels. 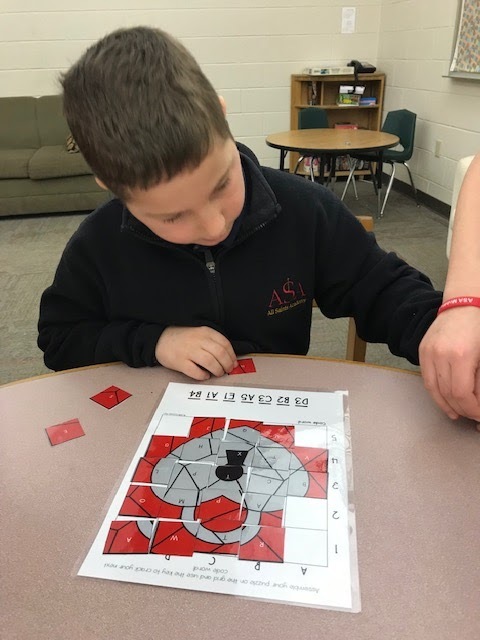 Our partnerships with Christian Learning Center and the Program for Inclusive Education provide valuable strengths to our puzzle of learners. 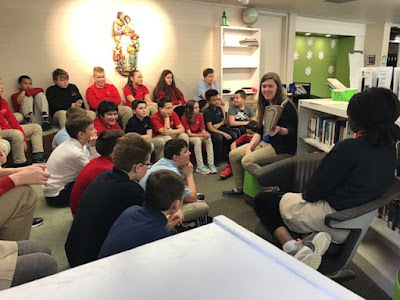 Programs like MobyMax and Osmo, opportunities that allow our 7th and 8th grade students to take classes at our local Catholic high schools or take placement tests for Algebra and Spanish II, all the individualization effort teachers invest, partnerships with Aquinas College, middle school homework club, Early Birds, math and reading smart groups and passion projects are just a few examples of how our teachers continually strive to meet the wide range of strengths and areas to grow of ALL of our individual learners! 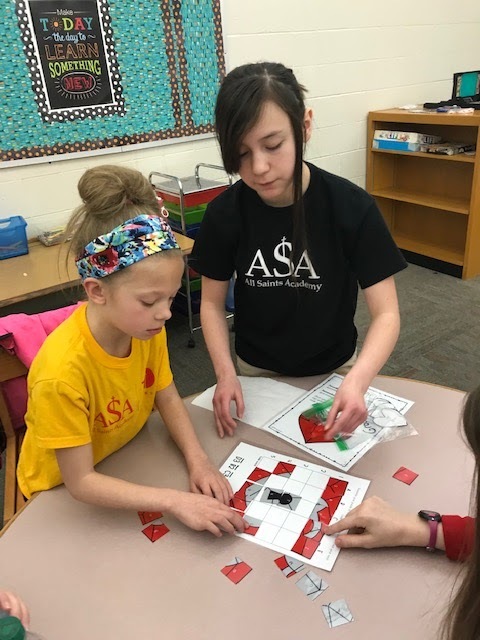 As we engage in a strategic planning year it is valuable to evaluate programs and systems, and also gather feedback and ideas so we can continue to strengthen and grow our All Saints Academy puzzle! 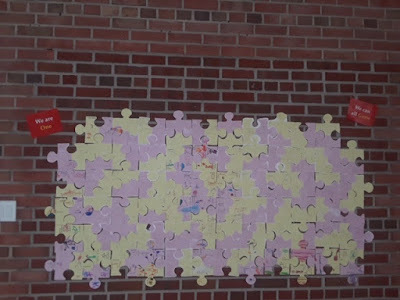 “Now the body is not a single part, but many. If the foot should say, “Because I am not a hand I do not belong to the body,” it does not for this reason belong any less to the body. 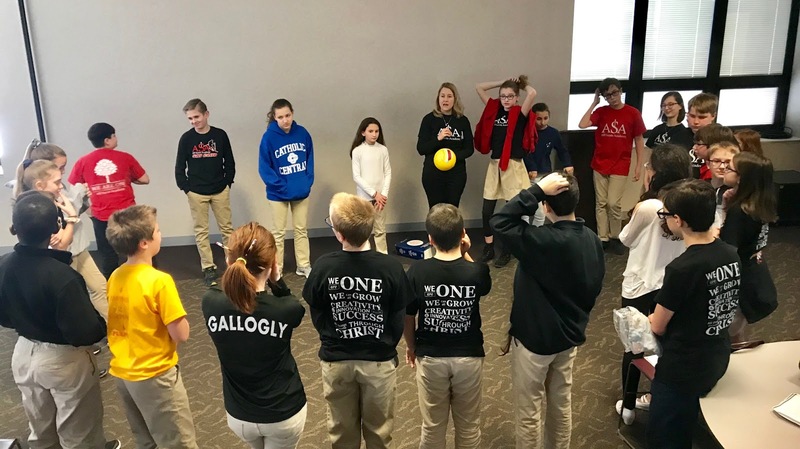 If an ear should say, “Because I am not an eye I do not belong to the body,” it does not for this reason belong any less to the body. 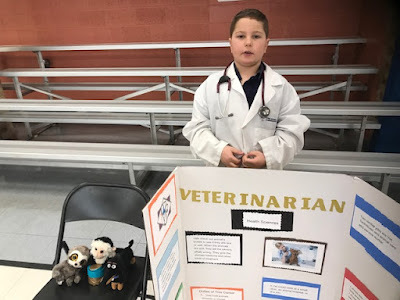 If the whole body were an eye where would the hearing be? 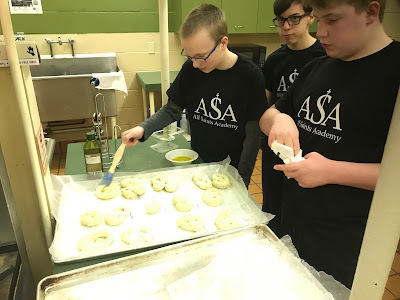 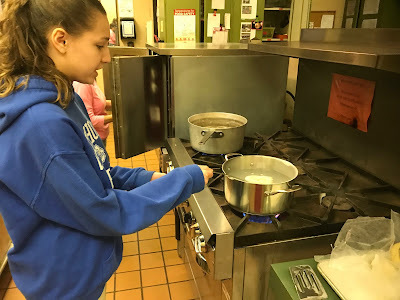 For this week's blog we are sharing a very special reflection written by Brian and Marcie Schaab for the Program for Inclusive Education (PIE) at the University of Notre Dame about their experience at ASA and their dream to have all of their children learning together at a Catholic school. 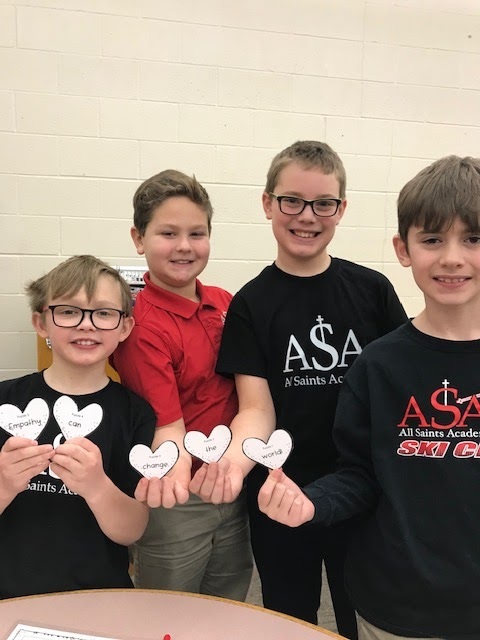 You can read more about their story by clicking here. We are so blessed to have entire the Schaab family as part of the ASA family, and PIE as one of our community partners as we continue to strive to meet the needs of all learners at All Saints Academy. Experience the joy of the faith and make plans for how to share that with others! We began with some activities that explored the idea of the trinity, including some team building games to practice working together in partnership and relationship with others. 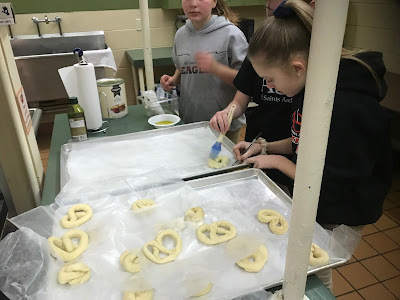 Then made a pretzel snack to symbolize the 3 parts of the Holy Trinity. 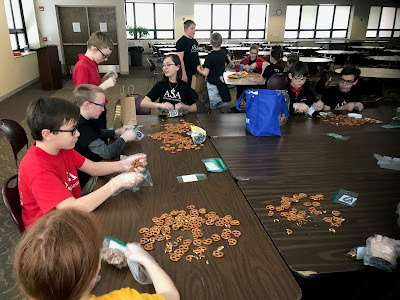 And packaged a pretzel snack for other middle school students with a message to teach them about The Holy Trinity. 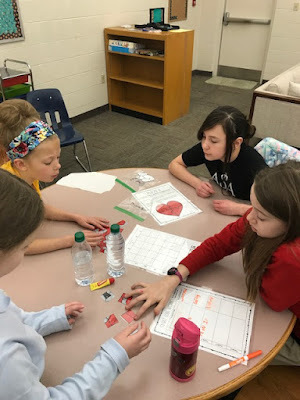 The fourth graders had a chance to grow their empathy skills through escape room puzzles! 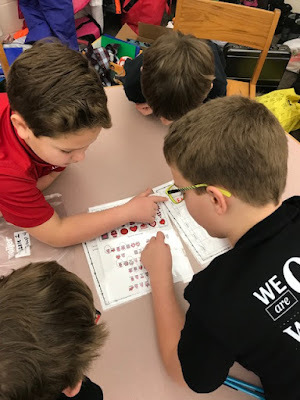 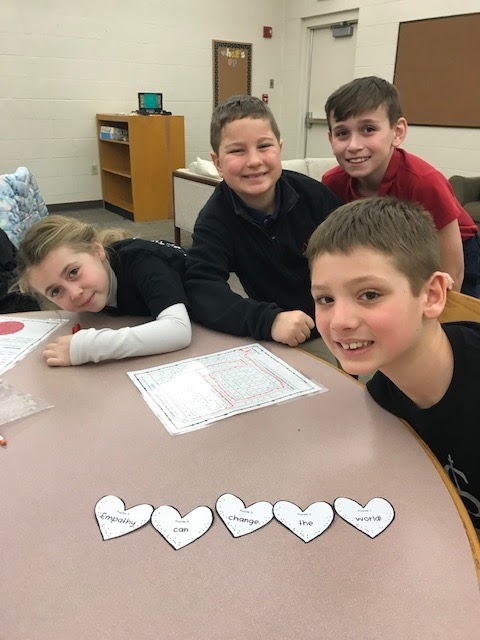 While in their groups, they were having fun working together to solve five puzzles and earn hearts to uncover the secret message about empathy. 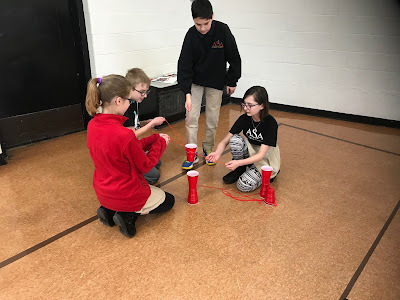 They showed off their ability to work as a team, listen to each other’s ideas, encourage one another, take turns trying ideas and celebrating each other’s accomplishments. 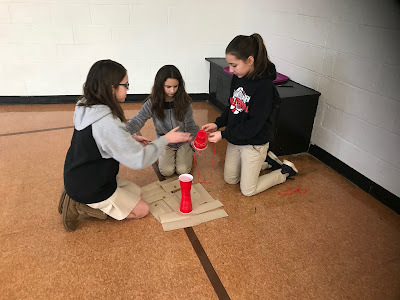 The final challenge allowed the students to discover the secret message, Empathy can change the world! 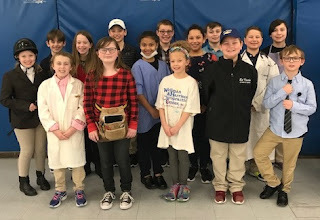 The fourth graders hosted a career wax museum at our elementary campus. They researched and became an expert about a specific career. 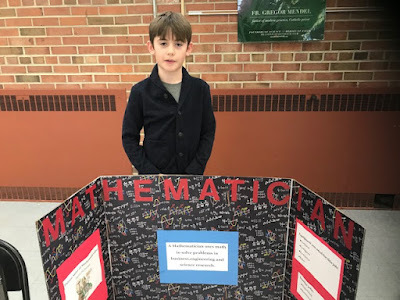 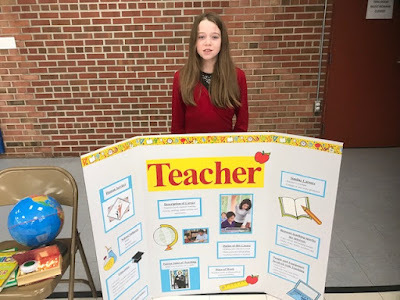 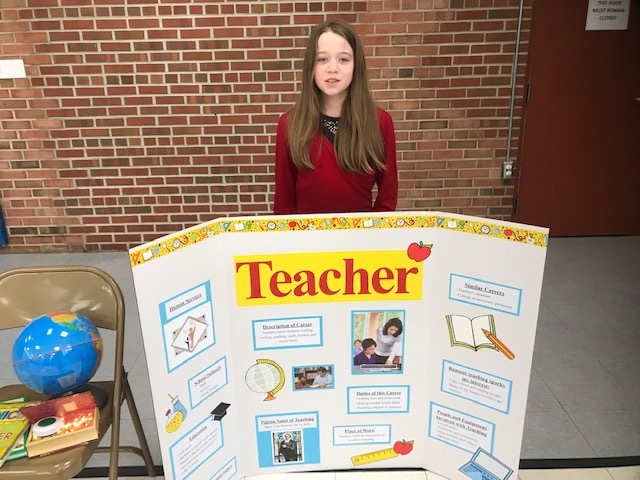 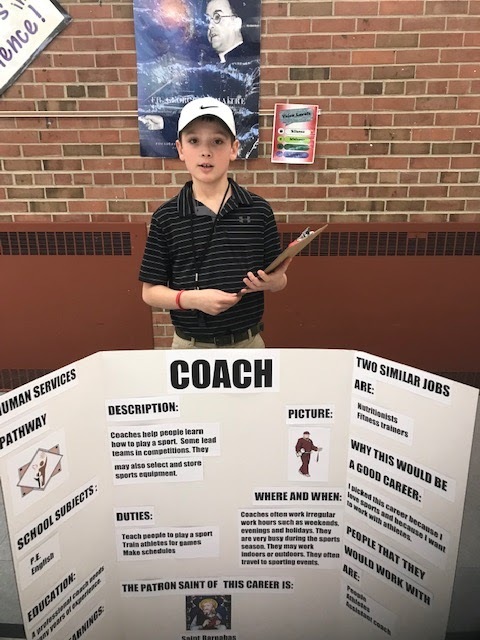 They were able to show off their poster presentations and shine with their sharpened public speaking skills for the museum goers, students in kindergarten through third grade, staff, family and friends.